The Utah living will, or ‘advance health care directive’, aids the principal by allowing them to choose their health care at a time when they are to ill to do so through illness. This can also apply to decisions regarding the end stages of the principal`s life or if the principal wishes to express their wishes with respects to pain relief. 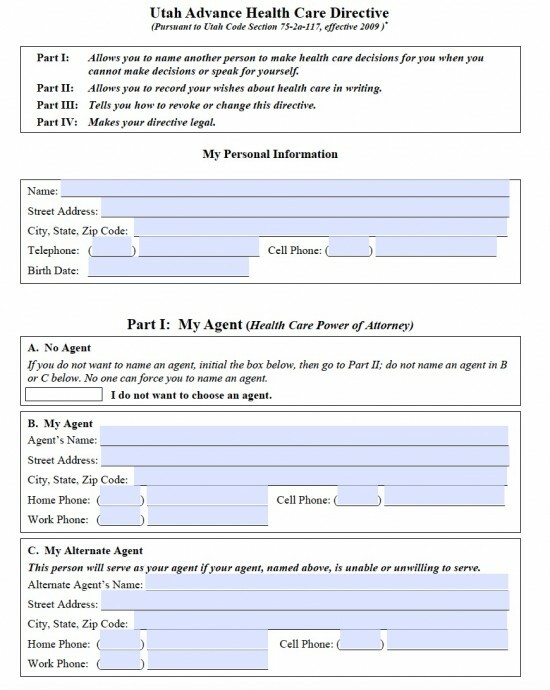 A Utah living will and medical power of attorney combined also provides the principal with the option to select another person to have this same authority but with the option for the principal to choose anything which the do not wish the agent to have authority over, they may also choose at any time to nullify the document. 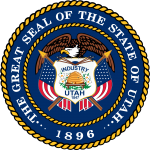 It forms a legal binding agreement in the state of Utah in accordance to US statutes §§75-2A- 101 to -125 and needs one witness or a notary. The principal must enter their name at the bottom of each page. The agent and alternative agent must enter their details. The principal must initial either `Yes` or `No` to state their particular wishes regarding the agent`s authority over the mentioned health care options. Be able to to obtain copies of the principal`s medical records at any time. Be able to admit the principal to a long term medical institution. The principal may enter details of any wishes they might have to limit or extend the power of attorney of the agent. The principal must initial either `Yes` or `No` to state whether or not they require their appointed agent to become their guardian. The principal must initial either `Yes` or `No` to state whether or not they wish wish to participate in medical research and clinical trials. The principal must initial ONE of the following options with regards to the medical health care treatment they wish to receive. Option 1 – To let the agent decide. Option 2 – To decide to prolong life. Have a progressive illness leading to death. Close to death and unlikely to recover. Cannot communicate and unlikely to improve. Do not recognize my friends or family and unlikely to improve. In a persistent vegetative state. Option 4 – Do not wish to express preferences. The principal may enter details of any other wishes they may have regarding their medical health care. The principal and witness must enter their details. City, county and state of residence. If applicable, details of oral directive given by the principal.